It’s funny how sometimes you’re flipping through stations, you hear a song, or see the name of an artist that you’ve never heard of—maybe you listen to a few bars and think, “this isn’t for me” and move on to the next station. Next thing you know, that artist is everywhere, No. 1 on the charts and you feel like you missed out, judging too quickly. Today’s artist seemingly came out of nowhere and took the music world by storm. Sia Kate Isobelle Furler was born in December of 1975 in South Australia. Dad was a musician and mom was an art lecturer. Sia’s uncle is also in the business, Australian actor and singer Kevin Colson. As a child, she would imitate the performing styles of some of her favorite acts, Aretha Franklin, Stevie Wonder and Sting. In the mid ‘90s she sang in a local jazz act called Crisp. She contributed vocals to a couple of their albums, but the band broke up in 1997. Locally to the land down under, she was developing a bit of a following, and a smaller label offered her a solo deal. Her debut album was released and sold only about 1,200 copies. 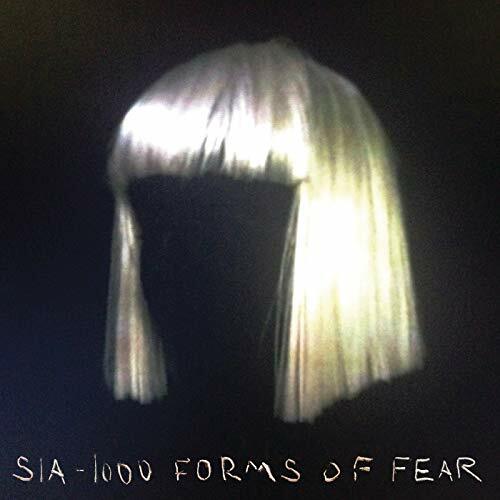 Needing a change of pace, Sia moved to London where she was a background vocalist for Jamiroquai. She began backing up other bands as well, and again, making a name for herself. At that point, she was signed to Sony, and began the process of making her own albums again. Sia would release four more albums, all to fairly minimal fanfare. She retired as a singer and began just writing songs for other mainstream acts. Some of her penned tracks were so huge, it encouraged her to give it one more go as an artist, and today I’m listening to 1000 Forms Of Fear released in July of 2014. The album was an immediate success, due to the leaked single “Chandelier” two months prior. It would debut at No. 1 on the Billboard 200 and sell nearly 100,000 copies the first week. To promote the record, Sia began making appearances on Ellen, Jimmy Kimmel and other major talk shows. She began garnering attention after deciding to never show her face to the press. She hired a model to be her persona on stage, while Sia would typically keep her back to any cameras. Critically, the album was getting some really nice reviews. Vocally, her sound is off the charts, and many took notice. From a lyrical perspective, she was tackling some tough subject matter and showcasing her real life struggles with addiction and mental health. Many commented how she sounded so seasoned for a ‘newcomer’—when in reality, she’d been making music for decades. To be completely honest, this is new to me today. I’ve certainly heard of Sia, and probably heard a couple of the hits in passing on radio, but I’d never sat down and listened to her music. It reminds me a lot of maybe an Amy Winehouse, and a couple of the songs are much more upbeat than I was expecting. In what I’d clearly describe as pop music, there is a darkness, a soul to it that you don’t typically get from Top 100 radio. Calling it electropop or something of that nature isn’t really accurate at all. It’s pop music with substance, and that’s such a rare thing to find nowadays. The album would go on to receive four Grammy nominations and she’d win three awards at the ARIA music awards in 2014. All the accolades make sense for this record, as it’s about as solid as any album from that year. If you’re like me and this wasn’t part of your typical playlist, give 1000 Forms of Fear a shot (and if it is, you have a good excuse to pull it up again). It might just have you swinging from the chandelier on your Tuesday afternoon.